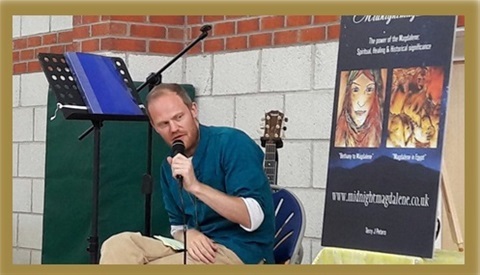 Welcome to Midnightmagdalene, a website dedicated to not only Mary Magdalene herself but also looking at spirituality and theory's that go with it. 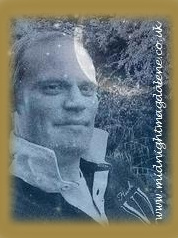 I have used the word midnight in relation to Plato and many other ancients who said that souls descending into the physical world, always come down at midnight. 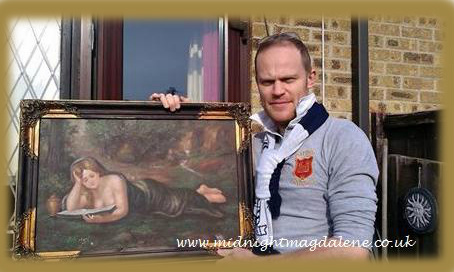 First and foremost this is a site based on my own theology into Mary Magdalene, her historical and spiritual background, as well as looking into other spiritual subjects. These will range from mediumship to past life and to near death experiences along with karma energy, Gematria and Science. Spiritualism is an interesting and intense subject with many different aspects. To me It makes sense that something goes on after death otherwise life itself would have no purpose or meaning. Why be born just to grow old and die, go through life experiencing positive and negative situations and emotions. Do we really forget all our achievements, our memories or the people who are close to us? Are we just a mere coincident or even an accident that just happened one day? What is the point of even living if at the end there is nothing but a void? Deep down I think most people know there is something, a purpose but cant quite put their finger on it, call it a gut feeling. There are of course sceptics, but they seem to have a need for a scientific or physical explanation for everything. They fail to understand that this is nothing compared to the things that they don't know, never will understand and never will know. It is bad science to rule something impossible, just because it has not yet been proven. Scientific methods does not allow the possibilities of non-material phenomenon that is beyond our senses. Its impossible for example to see love, but like consciosness, we know that it exists. We as humans are limited in our thinking of an afterlife because we are used to living trapped in time and space which becomes difficult for us to comprehend anything else. Lets face it, animals have better senses than we have so its no wonder people struggle to understand things that are beyond ourselves. No wonder Shakespeare called the spiritual world the undiscovered country but I feel that our understanding and experiences are bringing us closer to this other land. Then there is a certain Mary Magdalene who I have been studying for 10 years now and still find some of her difficult to nail down. Conflicting information, dodgy witness reports, hidden documents, conspiracies, rumours and legends, a nightmare! I almost feel like Sherlock Holmes investigating an old age mystery, looking for clues, analysing information, possible involvement regarding others. Mary Magdalene is a mystery in herself, not her fault mind, but history & religion has recorded her in a very complex way. Opinions of one person can count a lot when recording events that have taken place in any given scenario and there will be examples of this on the other pages. What I will say here is that in Mary's time women were looked upon by some as inferior to men particularly in the establishment of the church, in other words, they had their place. 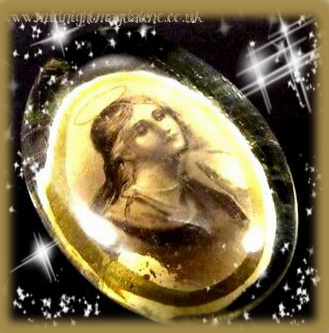 The other aspect of Mary is her spiritual significants which again will be looked at on the other pages. This will cover the story of the so called seven devils been taken out of her, Mary's gospel which includes a possible OBE during a vision she experienced, her strong spiritual energy that she possess, her relationship with Jesus and much more. I have learnt and been told that Mary Magdalene is now an Ascended Master who are believed to be spiritually enlightened beings who in past incarnations were ordinary humans, but who have undergone a series of spiritual transformations originally called initiations. There are 12 "Rays" which each Ascended Master is responsable for and these rays are a concentrated stream of spiritual energy emanating, ultimately, from the Godhead. Mary Magdalene herself works on the 3rd ray of unconditional love and if someone is a 3rd ray soul and she is your teacher then you will have the qualties of inner strength, openness and compassion. I have been told many times that I am a 3rd ray soul having a soul number of 3, a life path number of 3 and my astrological sign Libra is functioning on the third ray aswell. Please research your soul numbers you might find it interesting. 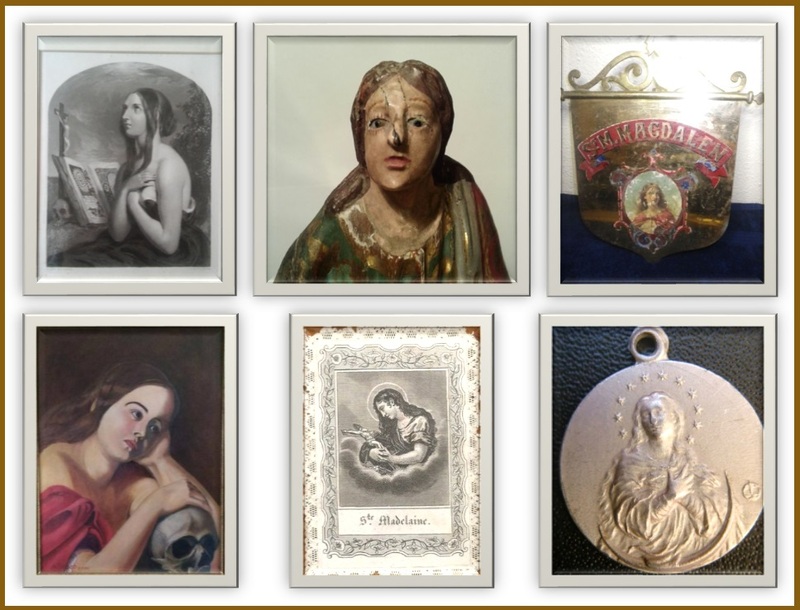 On Midnightmagdalene there is also my own collection of Mary Magdalene items that I have purchased over the years in the Magdalene Museum. These have varied dates from the old to the new. 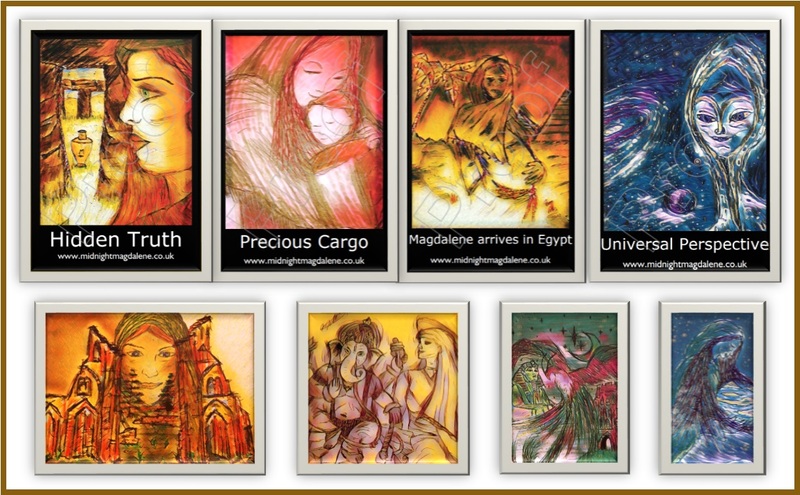 The Magdalene Gallery is a collection of famous paintings from artists over the centuries, of their portrayal of Mary Magdalene. 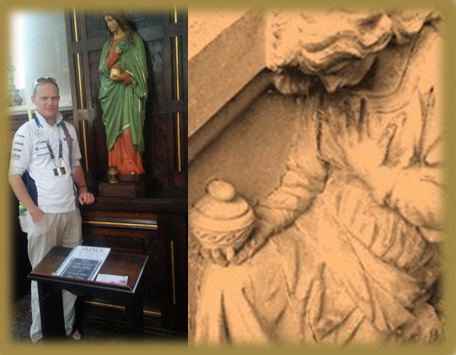 Following that are The Magdalene Travel photos, a collection of my attempt to visit as many Mary Magdalene dedicated churches, statues and anything else related to Mary in England and there are quite a few! 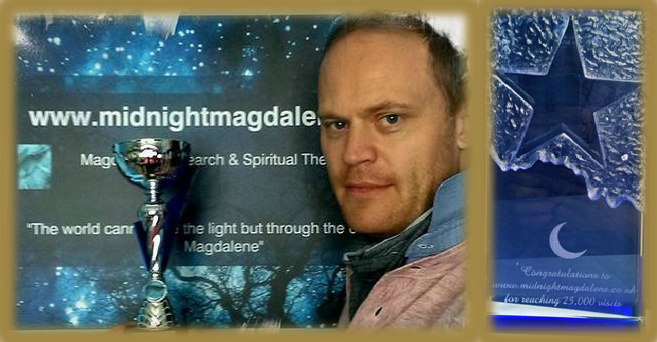 Magdalene news will keep you up to date with the latest discoveries and information on Mary Magdalene and the Magdalene name. Spiritual topics will be shown in the spiritual news page. In the Magdalene Art shop you can have a browse at some of the home made collages made by myself with different themes, each one unique. If anyone has comments or questions please feel free to leave a note and remember to keep an open mind, think outside the box! Enjoy!